Doctor Who has always thrived on multiplicty, unpredictability and transformation, its worlds and characters kaleidoscopic and shifting - and its complexity has exponentially increased over the last twenty years. With its triumphant return to TV in 2005, Doctor Who existed in four different fictional forms, across three different media, with five actors simultaneously playing the eponymous hero. 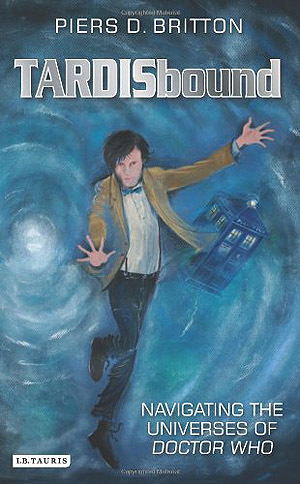 TARDISbound is the first book to deal both with the TV series and with the "audio adventures," original novels, and short story anthologies produced since the 1990s, engaging with the common elements of these different texts and with distinctive features of each. TARDISbound places Doctor Who under a variety of lenses, from examining the leading characteristics of these Doctor Who texts, to issues of class, ethnicity and gender in relation to the Doctor(s), other TARDIS crew-members, and the non-human/inhuman beings they encounter. TARDISbound also addresses major questions about the aesthetics and ethical implications of Doctor Who. Piers D. Britton is Associate Professor of Art History at University of Redlands, Southern California. He is co-author, with Simon Barker, of Reading Between Designs: Visual Imagery and the Generation of Meaning in The Avengers, The Prisoner and Doctor Who. He is also a contributor to the Routledge Companion to Science Fiction and I.B.Tauris's forthcoming volume New Dimensions of Doctor Who: Exploring Space, Time and Television, edited by David Mellor and Benjamin Earl.